Winter is in full swing in The Ozarks! These frigid temperatures may cause significant circulation issues for many individuals. As we age, our body systems have to work increasingly hard to supply our body with all the nutrients and oxygen that it requires to perform the vital functions that we all need. Here are three simple circulation exercises that have been shown to increase blood supply to assist with improved day-to-day health. #1 – Supine Ankle Pumps – Begin lying on your back with your legs straight. Slowly pump your ankles by bending and straightening them. Try to keep the rest your legs relaxed while you move your ankles. # 2 – Supine Quad Set – Begin lying on your back with one knee bent and your other leg straight with your knee resting on a towel roll. Gently squeeze your thigh muscles, pushing the back of your knee down into the towel. Make sure to keep your back flat against the floor during the exercise. #3 – Supine Glute Set – “Penny Pinchers” – Begin lying on your back with your hands resting comfortably. Tighten your buttock muscles, then release and repeat. Make sure not to arch your low back during the exercise or hold your breath as you tighten your muscles. The above exercises have been recommended by the OCH physical therapy department as an easy and convenient way for adults to help pump blood through their body. This is not medical advice. Spring is fun, but can be tough on your feet. Before you trade your boots for strappy sandals and bare feet, make sure you follow these simple tips, courtesy of Kory Miskin, DPM. No matter the time of year, good foot health contributes to your overall health. Below, podiatrist Kory Miskin, DPM, shares a few tips on how you and your feet can enjoy the sunshine. Going barefoot increases the risk of injury to your feet. Walking without the proper footwear in a public area can expose you to infections like plantar warts, athlete’s foot and ringworm. Remember the sunscreen. Sunburn is very common as we approach the warmer temperatures in the spring. To prevent getting sunburns, make sure to apply sunscreen all over your feet. It’s especially important across the top and front of your ankles and don’t forget to reapply after you’ve been in the water. Aloe Vera or Silvadene cream are great options to use in case you do get sunburn on your feet. They help to relieve those painful sunburns that you may accrue. Increases in activity can increase foot injury. Everyone is itching to get out and enjoy the warmer temperatures, which leads to increased activity overall. This can lead to blisters forming on your feet when walking/running/biking. To reduce the risk of developing blisters over time, try to wear moisture-wicking socks. Also, the use of moleskin can help prevent rubbing in those areas. 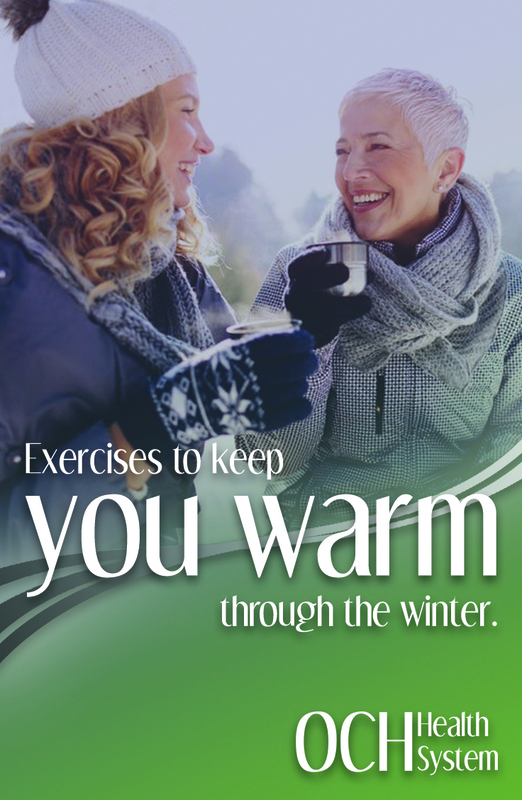 Remember to warm up before you get moving. As you become more active, stress fractures, planter’s fasciitis and other generalized foot pain can develop. To limit this from happening, allow yourself to work into a routine that will allow you to stretch your feet and other muscles. Shoe gear is important. Make sure to get your feet measured regularly, as they can change size. Measuring them at the end of the day is the best time. Having an appropriate fitting shoe can help limit injury to your feet. Good foot health contributes to your overall well-being and spring is a fantastic time to start enjoying the outdoors again! Remember to start slowly, gradually increasing your activity. Regular stretching, and warming up is very important. If a foot/ankle injury does occur, don’t hesitate to see a Podiatrist for help! Dr. Kory Miskin joined the OCH Health System in December. He is available to see patients Monday through Friday from 8 a.m. to 4:30 p.m. at the OCH of Gravette Specialty Clinic and every other Wednesday at the OCH Southwest City Community Clinic in Southwest City, Missouri. Dr. Miskin can provide medical diagnosis and treatment of foot and ankle problems. He received his education from Brigham Young University – Provo and from Kent State University College of Podiatric Medicine. He is currently is a member of the American Podiatric Medical Association and American College of Foot and Ankle Surgeons. To contact the OCH of Gravette Specialty Clinic, or schedule an appointment, call the office at 479-344-6870 or fax 479-344-6865. Winter can be just as tough on your toes as it is on cars and houses. Don’t neglect ‘em just because they are hidden away! Good foot health contributes to your overall health, no matter the season. DON’T IMPROVISE WINTER SPORT SHOES: If you snowboard or ski, it’s important to only wear boots specifically designed for that purpose. Make sure they fit properly. This means that you should be able to wiggle your toes and the boots should immobilize the heel, instep, and ball of your foot. You can use orthotics (support devices that go inside shoes) to help control the foot’s movement inside ski boots or ice skates. BE “SIZE-SMART” WHEN BUYING NEW: It may be tempting to buy pricey specialty footwear (like winter boots or ski boots) for kids in a slightly larger size in hope that they’ll be able to get two seasons of wear out of them. Unlike coats that kids can grow into, footwear needs to fit properly right away. Properly fitted skates and boots can help prevent blisters, chafing, and ankle or foot injuries. Likewise, if socks are too small, they can force toes to bunch together, and that friction can cause painful blisters or corns. KEEP YOUR TOES COZY, BUT NOT TOO COZY: Boots are must-have footwear in winter climates, especially when dealing with winter precipitation. Between the waterproof material of the boots themselves and the warm socks you wear to keep toes toasty, you may find your feet sweat a lot. Damp sweaty feet can chill more easily and are more prone to bacterial infections. To keep feet clean and dry, consider using foot powder inside socks and incorporating extra foot baths into your foot care regimen this winter. IT’S OKAY TO RUN IN THE COLD: If you’re a runner, you don’t need to let the cold stop you! A variety of warm, light-weight, moisture-wicking active wear available at most running or sporting goods stores helps ensure runners stay warm and dry in bitter temperatures. Try and shorten your stride to help maintain stability during icy conditions instead of altering the way your foot strikes the ground. Always remember to stretch during the cold! KEEP YOUR FEET HYDRATED: Remember to keep your feet moisturized on a daily basis, but do not moisturize in between your toes. After bathing and/or showering, make sure to dry your feet in between your toes to avoid cracking/fissuring which can lead to bacterial infections. As a final winter safety-reminder, remember not to tip-toe through winter snow, ice, and temperatures in summer footwear. Choose winter footwear that will keep your feet warm, dry, and well-supported to avoid exposing your feet to frostbite or injury. The good news is, there are plenty of options out there that meet THE criteria (and are fashionable as well). Dr. Kory Miskin joined the OCH Health System in December. He is available to see patients Monday through Friday from 8 a.m. to 4:30 p.m. at the OCH of Gravette facility. Dr. Miskin can provide medical diagnosis and treatment of foot and ankle problems. He received his education from Brigham Young University – Provo and from Kent State University College of Podiatric Medicine. He is currently is a member of the American Podiatric Medical Association and American College of Foot and Ankle Surgeons. To contact the OCH of Gravette Specialty Clinic, or schedule an appointment, call the office at 479-344-6870 or fax 479-344-6865. 24-Hour Emergency Room (Arkansas only). Clinic hours vary.